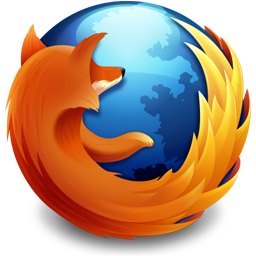 Firefox 3.6 has introduced a new tab behaviour, where new tabs are opened next to your currently selected tab, while Firefox 3.5 and older would open new tabs at the end of all your tabs. Enjoy surfing the way you are used too. Mozilla, makers of the popular Firefox web browser, have passed a huge milestone, with over 1 billion add-ons downloaded. This number is much likely larger, as Mozilla only started tracking downloads in 2005, with add-ons also available from other websites. Justin Scott from Mozilla says there are about “1.5 million add-on downloads per day and increasing”. Add-ons are currently available for a large range of Mozilla products including Firefox, Thunderbird, SeaMonkey, Sunbird, Komodo, Flock, and Songbird. Have you fashioned your Firefox? I’m sure some of you may be frustrated by Firefox 3.1’s new tab behaviour when pressing Ctrl + Tab. No longer does it just browse through the tabs, but instead it switches to the most recently viewed tab (much like Windows Alt + Tab. All done! Enjoy the old Ctrl + Tab behaviour. Type ‘regedit‘ without the quotes and hit Run. You should now be able to download up to 10 files at once. Much better for today’s broadband connection. This trick works for all versions of Internet Explorer from version 4 onwards. Happy downloading! Mashable has posted a great article with 25 resources on how to customise your favorite browser. Included are resources for Internet Explorer, Firefox, Safari, Opera and Google Chrome. You can read the full article on the Mashable website. There are many cool little Firefox tweaks that users often don’t know about, all hidden away and editable from a special link within Firefox. These following tweaks will make your Firefox quicker and more efficient for today’s broadband connection. To get to this special menu, in the address bar type about:config and then press enter. Firefox 3 presents you with an extra button asking you to “promise and be careful” which you can safely click. These little gems will help your Firefox fly faster. Pipelining allows multiple HTTP 1.1 requests to be sent before any responses are received from the browser, hence allowing you to ask for more data at once. Give it a go and try it out – you’ve got nothing to loose!